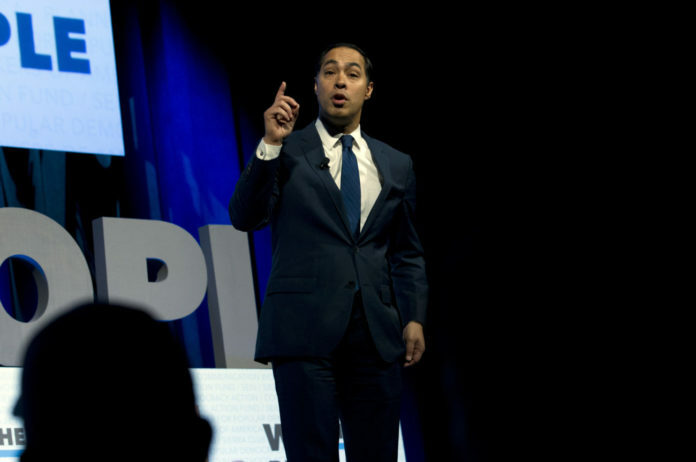 AUSTIN — Democratic presidential candidate Julián Castro is calling to end criminalizing illegal border crossings as part of an immigration plan that’s the first policy blueprint of his 2020 bid. The former San Antonio mayor unveiled his proposals Tuesday at a time when President Donald Trump is threatening to shut down the southern border if Mexico doesn’t completely halt illegal immigration to the U.S. The crowded field of Democratic presidential candidates has widely condemned Trump’s hardline immigration measures and rhetoric. But Castro, the only Latino in the race, has now gone further. Trump’s “zero tolerance” policy on illegal border crossings called for prosecuting every adult, even if it meant splitting families.